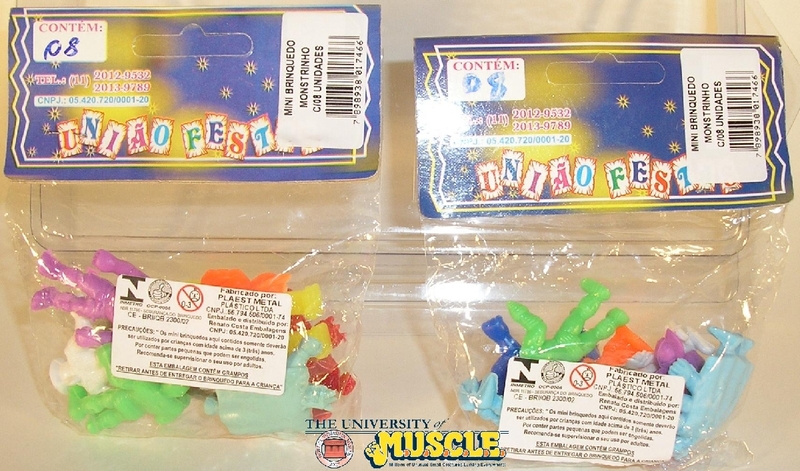 « Sociology 300 – Matthew G.
As stated in an earlier post, Rafael from LRG.com found some counterfeit M.U.S.C.L.E. 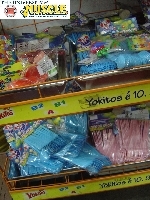 figures on September 17, 2009 at a store in Brazil. 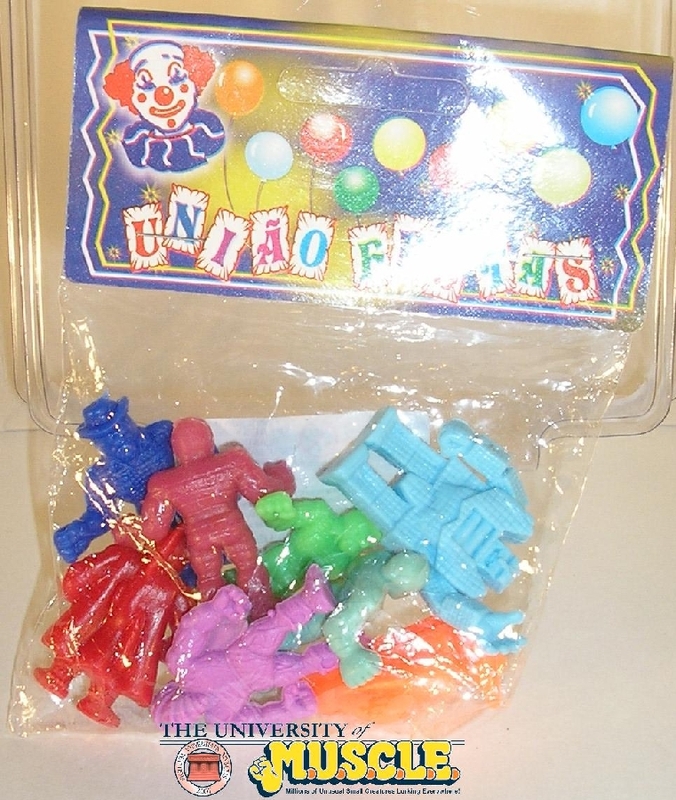 He was kind enough to provide the University of M.U.S.C.L.E. 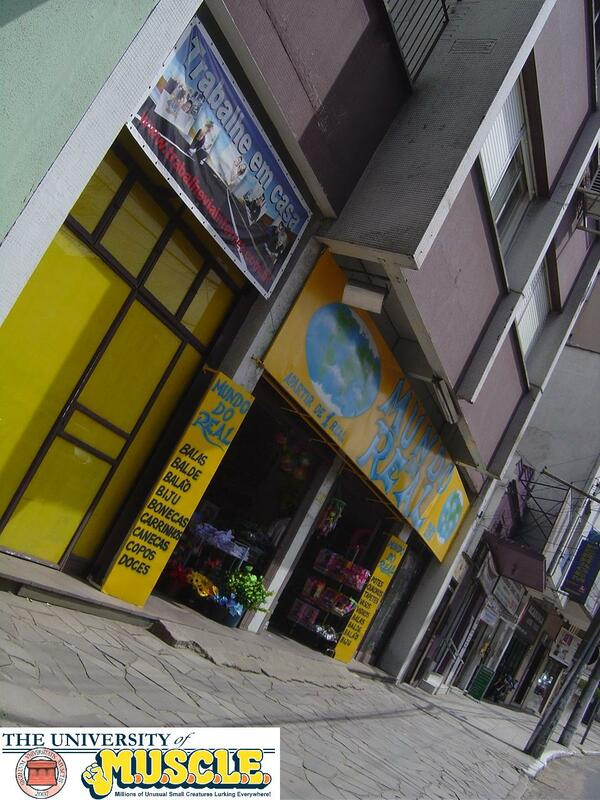 with the entire stock from the original store, which turned out to be five packages. 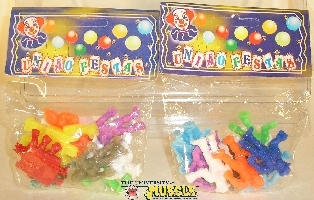 The distribution of sculpts and colors in each package is shockingly terrible – which follows the long traditional of bootleg/counterfeit figures having several of the same figures in one package. Many of the figures suffer from the same problems as other bootleg/counterfeit figures – reduced size and excessive flashing. However, the repetitiveness of sculpts and colors is worth tolerating because the color choices are fantastic. 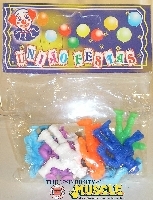 They are bright, fun, and interesting. Frankly, the color choices push these figures somewhere between common counterfeit figures and the work of colorful custom figures. Hopefully more collectors will have the opportunity to purchase these figures. They are simply the best bootleg/counterfeit figures ever produced based on M.U.S.C.L.E. sculpts. 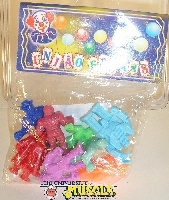 Most counterfeit figures have a completely unknown origin, aside from reports of gumball machines and occasional sealed packages. 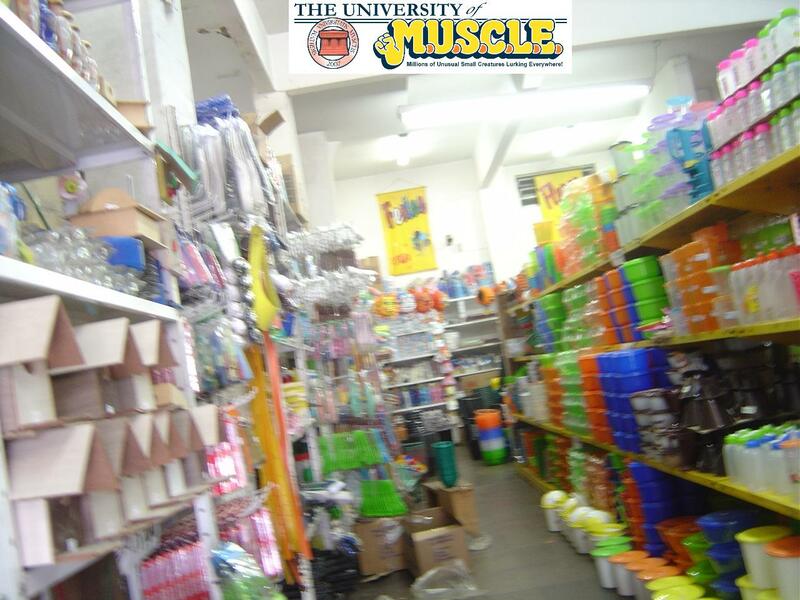 Rafael was kind enough to provide the University of M.U.S.C.L.E. with a completely unique form of provenance for these figures. 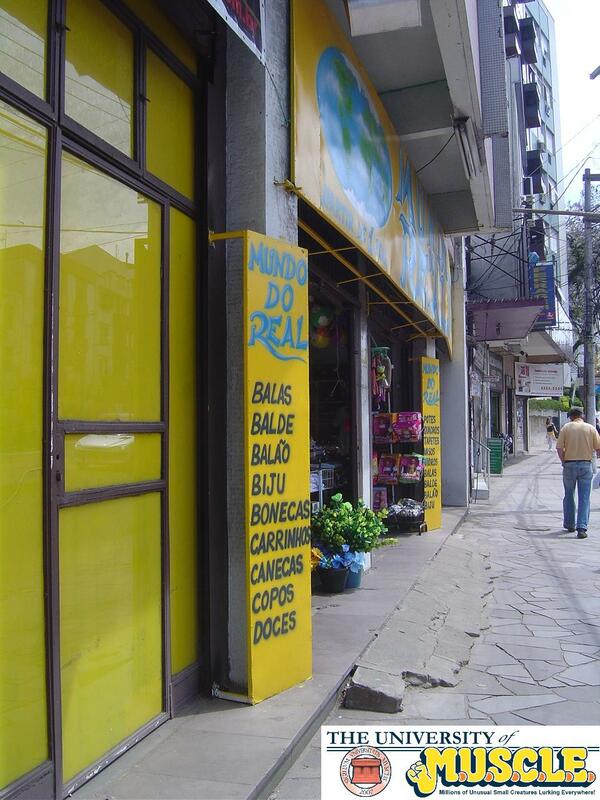 Not only are they in their original packaging, but he was also willing to take some pictures of the store they were purchased from in Brazil. The storekeeper was somewhat reluctant for him to take pictures, which is why they appear hurried and partially out of focus. The first two pictures offer a view of the exterior of the shop with a few of the surrounding stores and view of the street. The next picture is down one of the aisles. 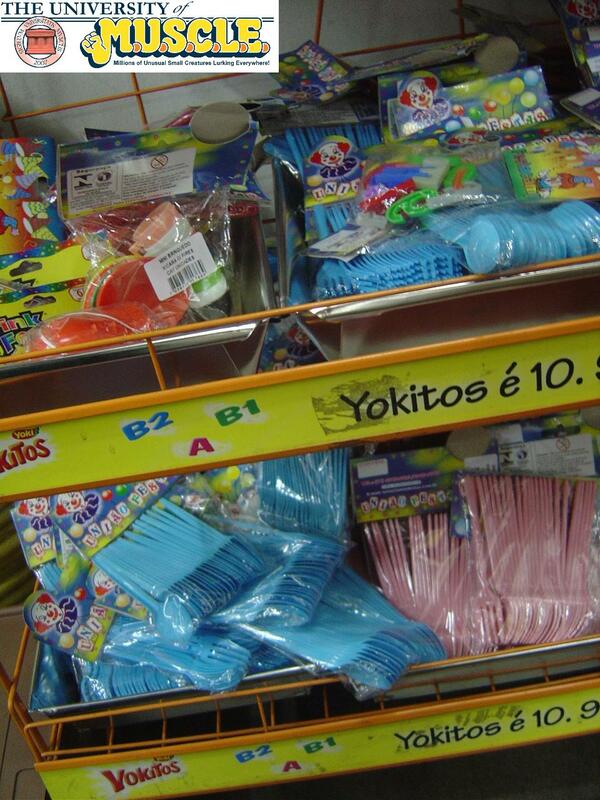 Each aisle has a theme and this aisle had predominately food storage items specifically Tupperware-like containers. Lastly is where the bootleg/counterfeit M.U.S.C.L.E. figures were found. 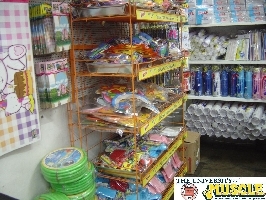 They were in a shelving unit filled with inexpensive toys – specifically the kind of cheap toys that are given out in treat/gift bags for guests at a child’s birthday party. The first picture is the entire unit, with the second picture showing the actual shelf where the figures were found. 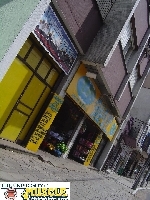 Originally the plan had been to open all but one of these unique items. 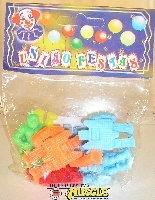 However upon receiving them the odd packaging and mix of figures offered an intense silly charm. Instead only one package will likely be opened. While the University of M.U.S.C.L.E. reserves the right to open any package, which package would readers like to see opened? Please post any preferences and rationale in the comment section below. This entry was posted on Monday, November 9th, 2009 and is filed under Art, UofM News. You can follow any responses to this entry through RSS 2.0. You can skip to the end and leave a response. Pinging is currently not allowed. 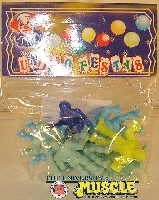 I say one of the packs with the most color variation, either #1 or #5. Will you be posting pics of the loose “Uniao Festas”? 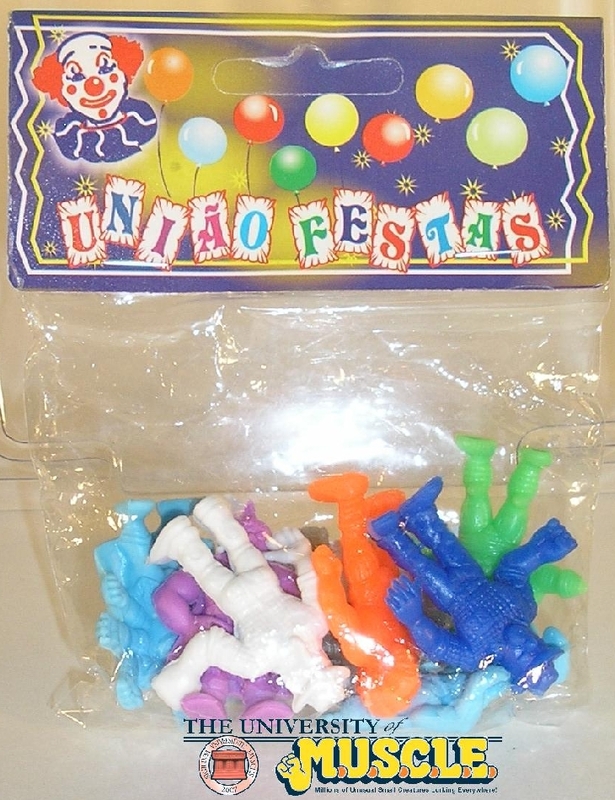 Will you be posting pics of the loose “Uniao Festas”? Of course, that’s why I wanted to ask people. I wanted their input regarding the write-up. If I was to open one of those packages, I would choose pack number 4. Adding those two odd-colored Sunshine figures to a display would definitely add some tasty South American spice. 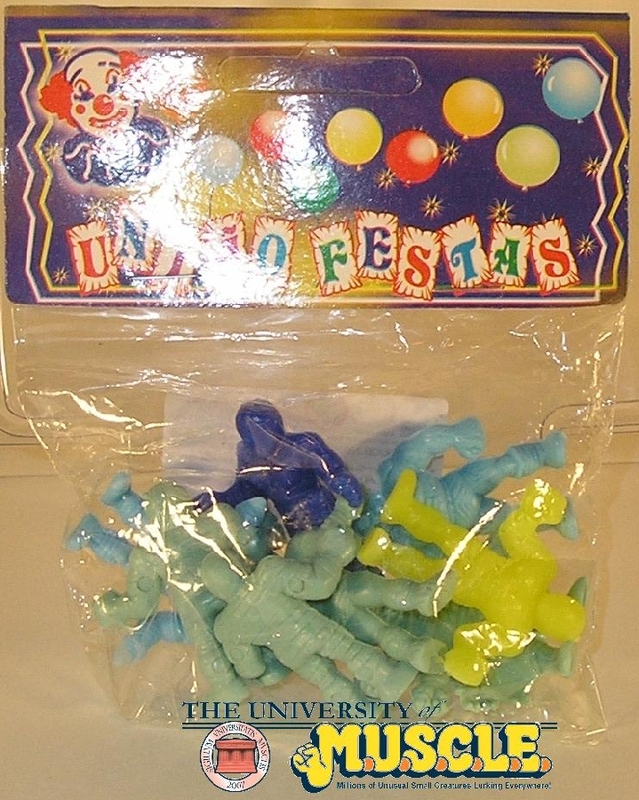 Personally, though, I feel that I would be most likely to not open any of the packages. 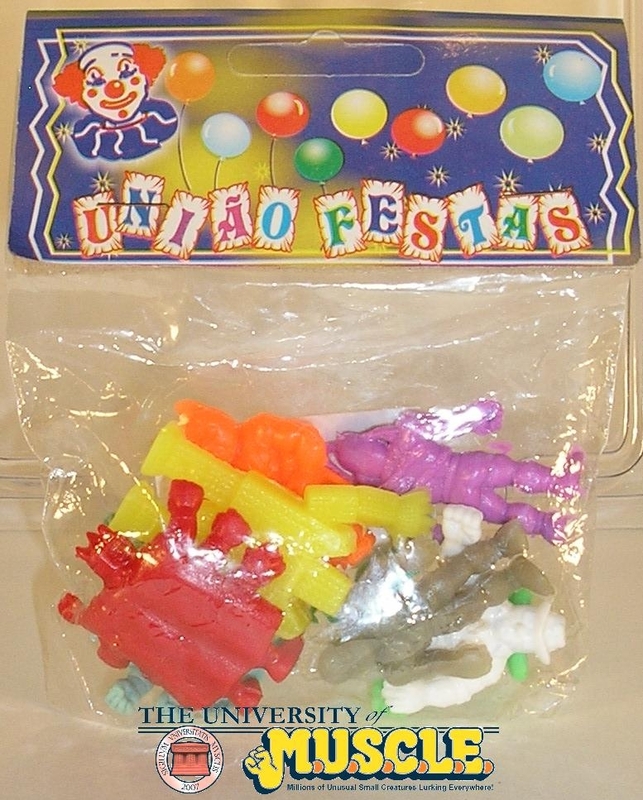 I agree that the original packaging is charming to look at. I often find that in many cases the packaging itself can be just as, if not more, intriguing than the product itself. The colors are awesome! I would say pop open #2. 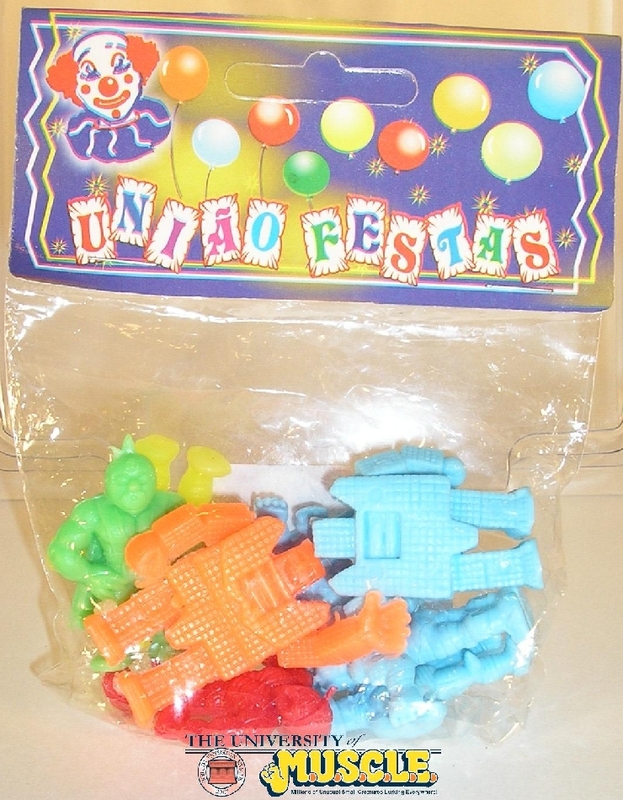 I just got a package from Brazil today and it had six of these little guys in them. I don’t know if they came from the same store but they did come from Brazil and they look identical to the figures in your pictures. They are very cool and I’m glad I was able to pick up a few! That’s great! Hopefully you’ll take some pictures and share them with us! I’d say number 3. It looks the least interesting sealed, having several of a more dull color. 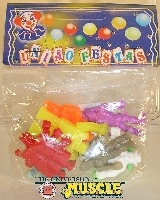 That would allow description of texture and such without sacrificing displayability of the unopened packs. 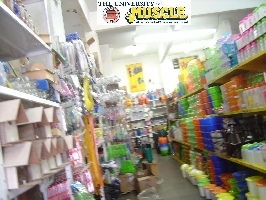 Identified Brands of Counterfeit M.U.S.C.L.E. 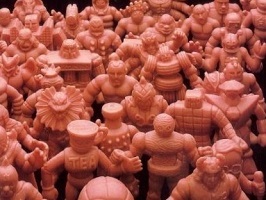 Figures | University of M.U.S.C.L.E.